Kristen Nicole Sinnott is an Associate Attorney at Dell & Dean, PLLC. Ms. Sinnott's practice areas focus on Personal Injury, Product Liability, Asbestos Litigation and Employment Law both in State and Federal Court. 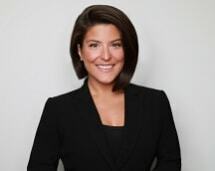 Prior to becoming an attorney, Ms. Sinnott earned her Bachelor of Arts in 2010 from SUNY Stony Brook University majoring in both Political Science and History. Ms. Sinnott earned her Juris Doctor in 2013 from Florida Coastal School of Law in Jacksonville, Florida. Ms. Sinnott was elected as the Internal Vice President of the Student Bar Association at law school where she focused her time and efforts on the students, their needs and the ability to give back to the community. Ms. Sinnott led the efforts to raise over $31,000.00 for the Jacksonville Area Legal Aid, which allowed the organization to revive their Baker Defense Project that provides free and full representation to individuals detained at the Baker County Jail. During her tenure at Florida Coastal School of Law, Ms. Sinnott earned various awards including Best Closing Argument for her Trial Advocacy course and Best Closing Argument Team Award at NOVA's Mock Madness with Florida Coastal's Mock Trial Team. Ms. Sinnott graduated with Pro Bono Honors, contributing over 125 hours of legal and non-legal work to the needs of low-income individuals, groups and/or organizations. Ms. Sinnott is currently admitted to practice in the New York State Courts as well as Federal Court in the Eastern District of New York. She is a member of the New York State, Nassau County and Suffolk County Bar Associations as well as a member of the Nassau Suffolk Trial Lawyers Association. Most recently, Ms. Sinnott was honored to become part of the Federal Bar Association and sits on the Board of the Eastern District of New York Chapter as the Membership Chair. Born and raised in Long Island, New York, Ms. Sinnott spent most of her childhood participating in sports such as soccer, lacrosse and dance. Ms. Sinnott credits her work ethic to overcoming various obstacles in her life. Perseverance is her strength in client advocacy and in the practice of law.